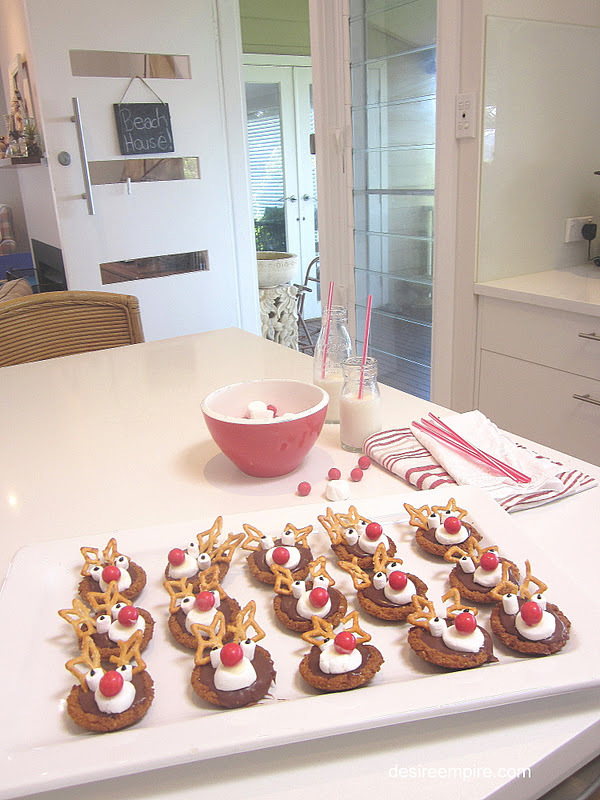 With Christmas bearing down on us hard, we got into the spirit at the Beach House this weekend past. 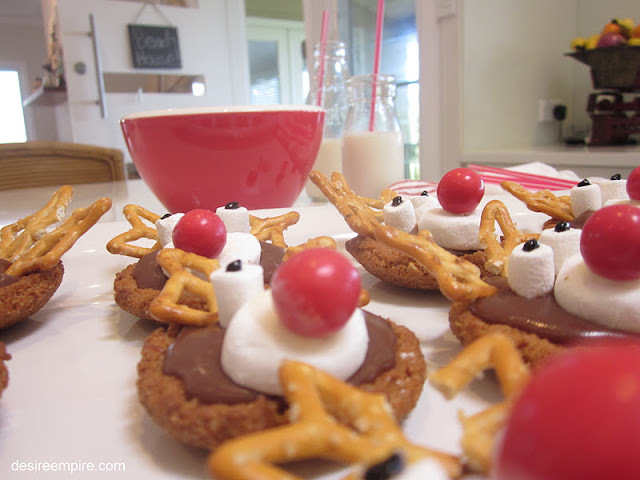 The Beach House kiddo cook and I put together these oh so easy reindeer biscuits, that are sure to impress the rug rats at your next Christmas do. These ones ended up being donated to the yacht club canteen and sold out pretty darn quick. There was no way they were staying at the Beach House. One, because my kiddos bounce off the walls enough in this place and second, my diet is still underway and I have limited will power . On that note, I can report another 2 kilos have been shed in the interests of living long enough to see the Beach House Brats come of age, not to mention the hope of annoying Mr Beach House into his dotage. There's no way he's gunna out live me!!!!!! Anyway, these babies are so easy to put together. Infact, once you have mastered the art of moulding the biscuits into a basket shape and loading up the chocolate filling, you can decorate them anyway you like. Each one looks a little different and I think has a personality all of its own. Not sure which one is Rudolph, but I guess he'll be the one with the shiniest nose. 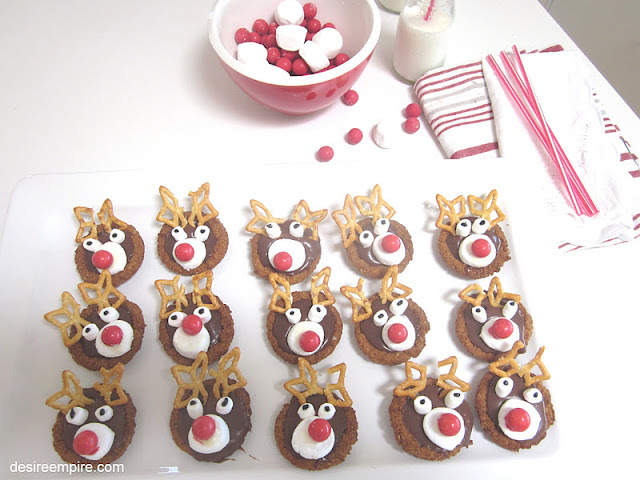 One tip, don't refrigerate the reindeer with their red noses attached, as they go dull. I guess in the colder climes there may be no need to refrigerate at all, but as we swelter at Christmas time, that is not the case Down Under. Also make sure you have a practise before you begin the assembly process and remember.....this is one case at Christmas time where less is more!!!!! And most of all have lots of fun cause if you eat too many of these....life really will be short!!!!! Post script: My big Beach House Brat took the last one to school in his lunch box. He reports that "all the kids were gathering around me mum and they were saying 'wow that's awesome'"..... 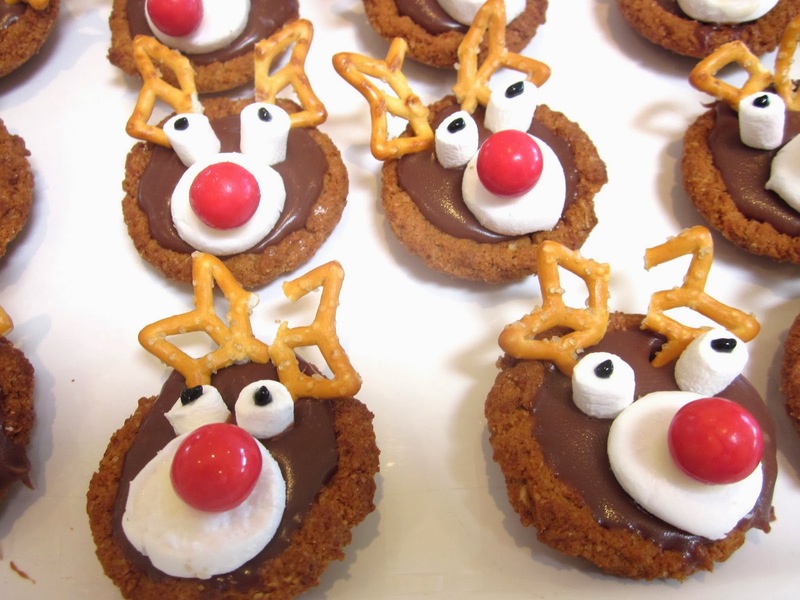 So I've promised him a plate of these for the Christmas class picnic. And if you too want to create the illusion of Domestic Goddess in your sphere, I encourage you dear reader, to make these and enjoy the ride. jaffas for the nose and some frosting to attach them. 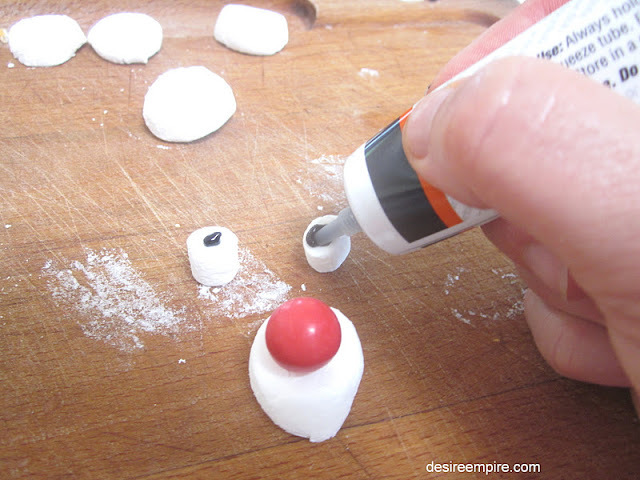 I made one with butter, icing sugar and water, so it would set and stick well. But the recipe says to buy it. 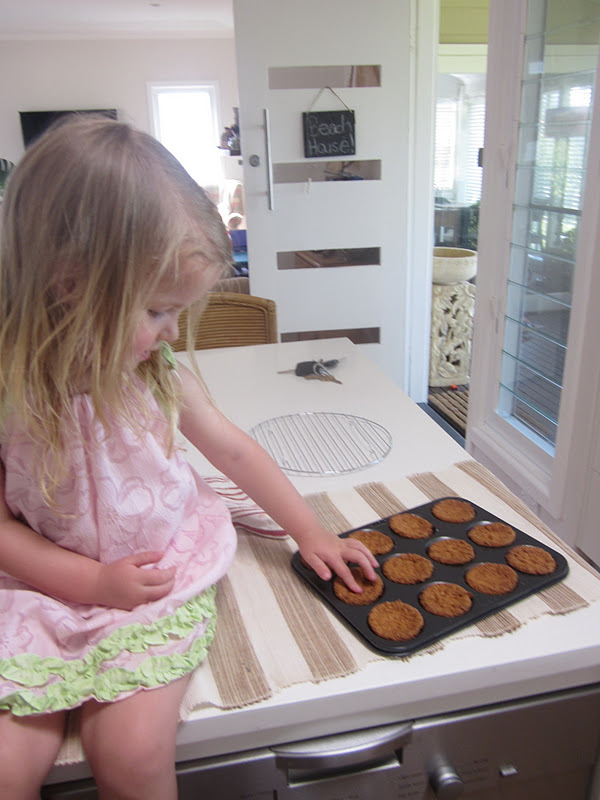 Pre heat oven to 180 C or 350 F. Place cookies on a shallow cup cake pan and heat for 3 minutes. 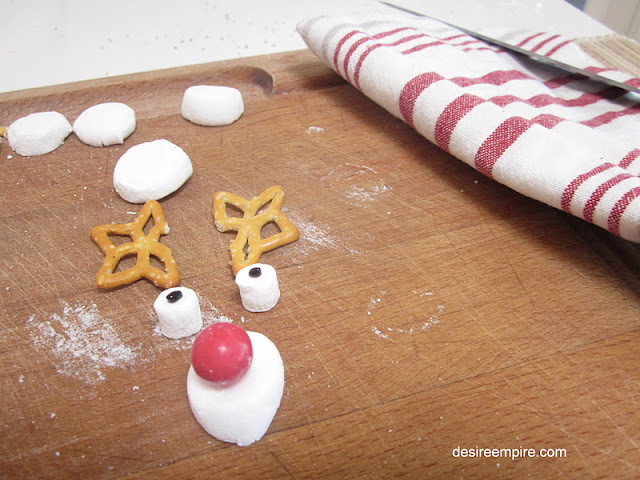 Remove from oven and gently press down on the biscuits to form baskets. Repeat with remaining biscuits. Cool on wire racks. Melt butter, chocolate and cream on the stove over a low heat, stirring constantly until combined and completely melted ( about 7) minutes. Cool in the fridge for 20 minutes, but don't allow to set completely. Spoon one heaped tspn of chocolate mixture into the biscuit cases. Refrigerate for a further 10-20 minutes so chocolate can firm up a little more. Decorate as per my pictures above. How gorgeous! Looks like we will be busy in the kitchen this weekend. These are cute! But...what is a jaffa? Jaffas are a very old traditional Australian lolly. Red on the outside and yummy chocolate on the inside. In the days before carpet on the floor in cinemas, everyone used to roll them down the aisles as they sound like marbles. That is a very old Aussie tradition which was before my time, but my dad talked fondly of it!!!!! Wow, they look fabulous! Definitely bookmarking this one. These are adorable! Great idea for Christmas! They are SO cute - I want to eat them up!!! How gorgeous - I can't wait to try out my new cooker and will be making these with the kids for Christmas. So cute. Now that's super simple. Thanks for the tutorial. Love em! Carolyn these are just adorable. 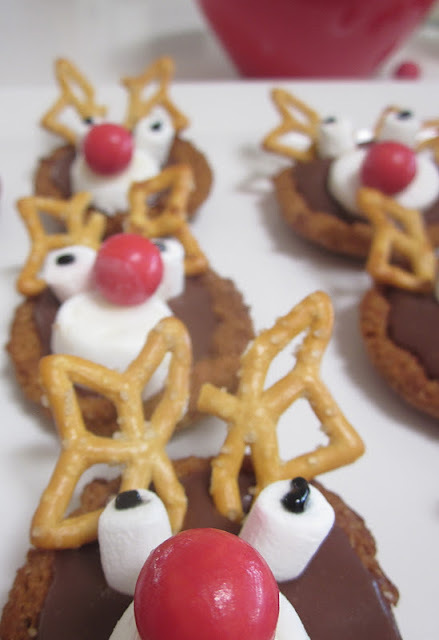 This is the first time to your blog and it is charming.Making these reindeer with my grandkids will be so much fun. Thankyou for sharing these on Table Top Tuesday because that is where I found you. How adorable and what a cute little assistant. These are so cute!! I love it. Your so funny about your hubs. Thank you for joining me at Home Sweet Home! Love these!! Thanks for stopping by Reading Confetti! These are super cute! What fun! I am your newest follower. I'd love for you to follow me back, if you want to!